Welcome to the Simply Calendar Class!! 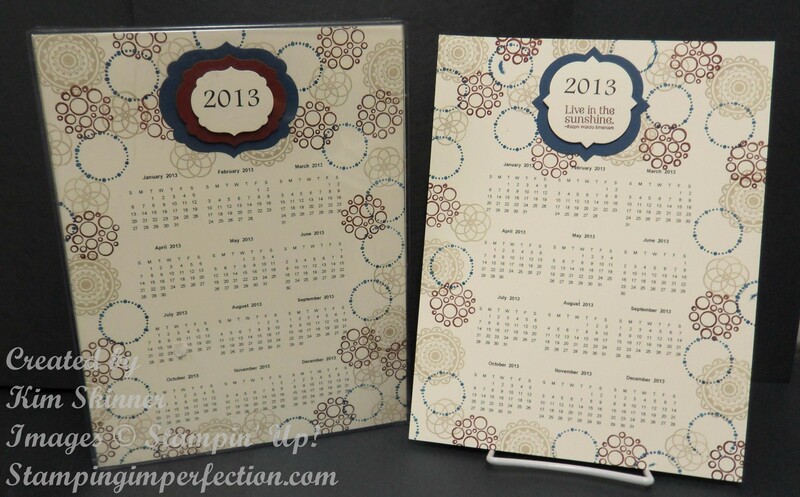 You have many calendar options and templates to choose from. 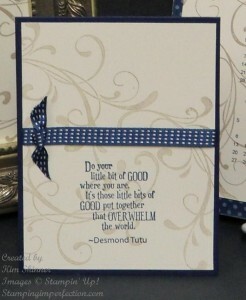 Each template has printable directions and one or more video tutorials! Enjoy making these for yourself or to use as gifts. 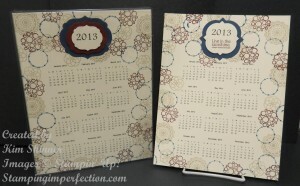 I also think the finished calendars would be great items to sell at craft fairs! 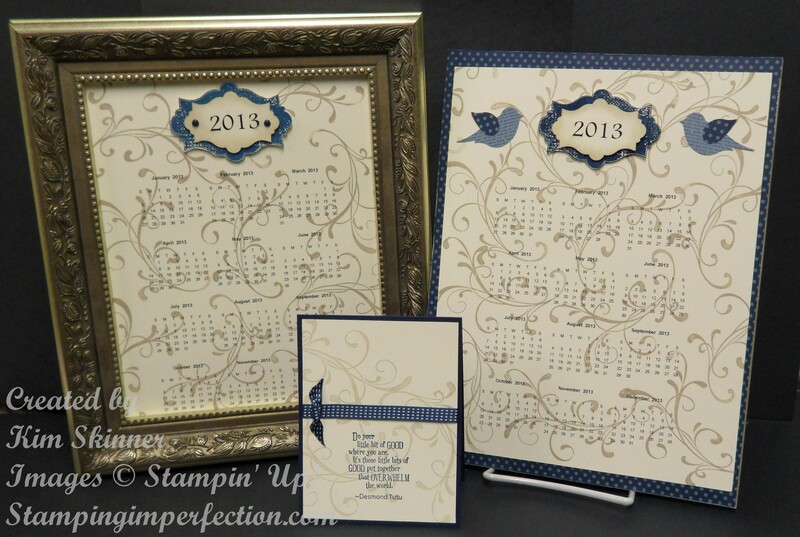 Each template comes in the 2013 and the 2014 option as well! Video 2: Creating a backer board to attach your calendar to. You may wish to do this as a technique to give a lighter background for your calendar. 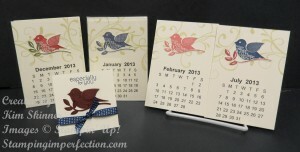 One minute Quick Tip: Using the stamp-a-ma-jig to decide where to place an image. These are great on desks, as magnets on the refrigerator and so on! This is another option also great for a desk or counter. 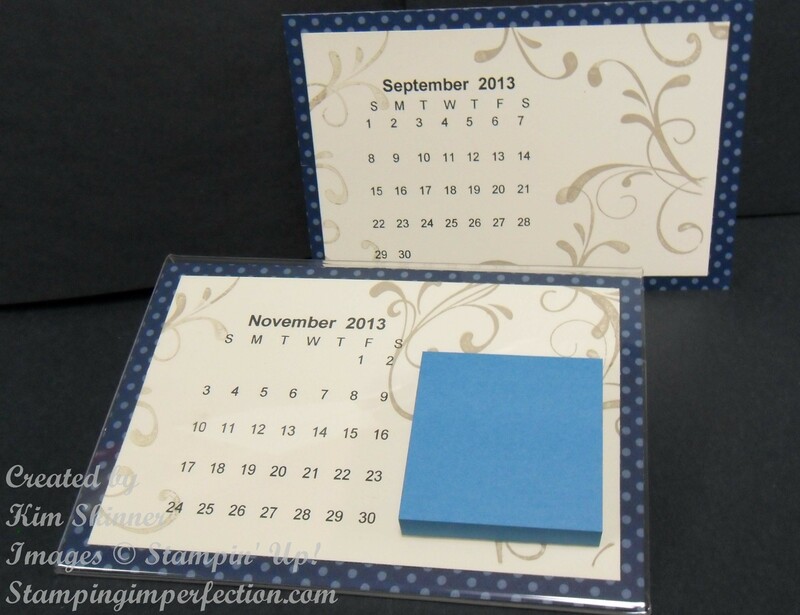 One idea for the Small Horizontal Calendar! Thank you for purchasing the Simply Calendar Class! I hope that it inspired you to create many calendars your way! 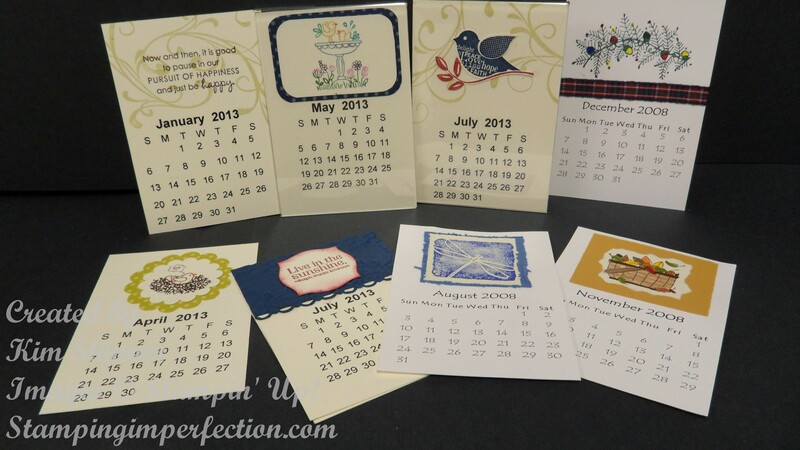 If you have and questions, please email me at kim@stampingimperfection.com!